In this article we’ll be looking at some of the best USB studio microphones under $200 to use for recording on youtube. We’ll be focusing on these microphones: Rode NT-USB Condenser Microphone Vs Blue Yeti Vs Audio-Technica AT2020 Vs Samson G-Track Vs Samson Meteor Mic Vs Razer Seiren Elite Vs Turtle Beach TruSpeak Stream Mic Vs Plugable Cardioid Condenser Vs Blue Snowball iCE. This goes for multiple types of youtube recording; like video gaming, podcasting, voice overs & anything that really allows you to be at your computer when recording. I did limit a budget to these picks at $200 which for that amount you have access to pretty much most of the top mics out there. 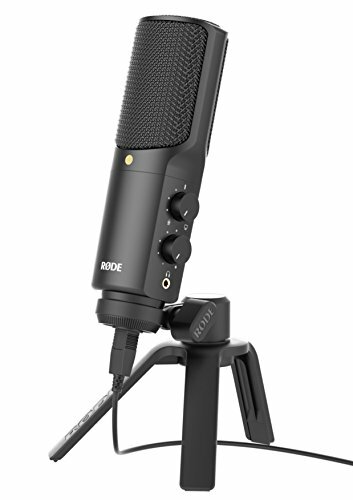 The Rode NT-USB USB Condenser Microphone is currently one of the best picks that you’ll find for a quality mic. This setup not only comes with the microphone but you also get tripod stand, pop shield and ring mount which really make this microphone just that much better in terms of the overall quality. I highly recommend this mic, along with lots of other gamers that I’ve spoken with. 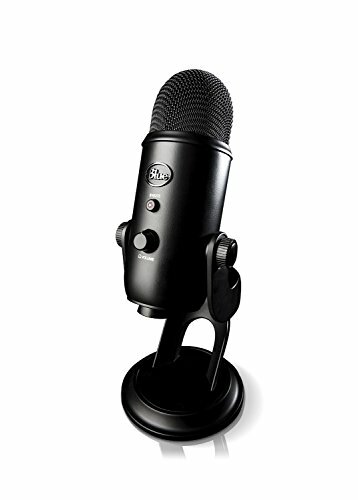 The Blue Yeti USB Microphone has become of the most popular brand names in the microphone industry, at least for those in the gaming/youtube recording industry. There have been times where I thought either Blue Yeti was sponsoring all of the top Youtubers because every video I found of where a youtuber would talk about what gear he used a Blue Yeti was almost a sure thing to be mentioned. Another great mic you can’t go wrong with. The Audio-Technica AT2020USB PLUS Cardioid Condenser USB Microphone is a simple yet power microphone that tends to appeal to those who love the plug n play type of ease to it. I’ll admit, I’m not one to want to mess with a million settings, especially if I’m not 100% sure what exactly those settings do so this mic appeals to myself as well in that regard. 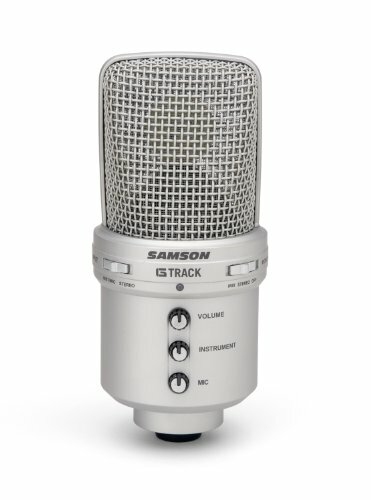 The Samson G-Track USB Condenser Microphone is a great mid to high end range, atleast in regards to most microphone price ranges. For the price you get this at it provides some impressive audio quality that will make you stand out (in a good way) from other youtubers who are still rocking a regular gaming headset microphone. I give a thumbs up for this microphone. 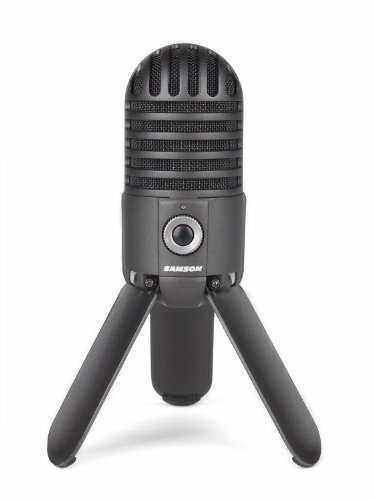 The Samson Meteor Mic USB Studio Microphone is a small yet powerful mic that allows for a non intrusive option for your desktop recording setup. It has a very easy setup and also offers some small yet great features that you don’t find on a lot of other microphones like the rubberized feet which help with protecting it from being knocked off your desk. The easy setup makes it an ideal choice for those who just to plug it in and get going without needing to tinker around with lots of settings. 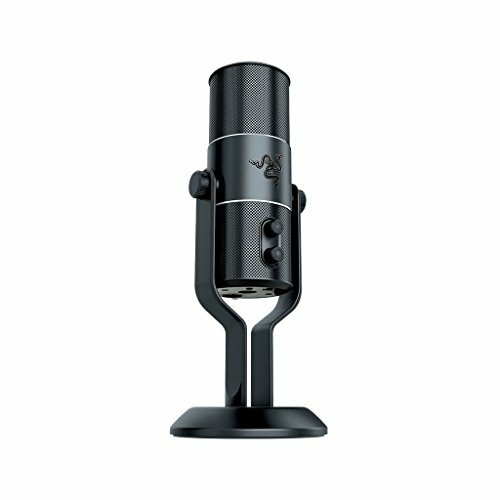 The Razer Seiren Elite USB Digital Microphone has been a nice addition to Razers gaming equipment lineup in my opinion. If you can spare a little bit more money then I would spring for the pro edition of this mic because it offers high-pass filter-filters frequencies below 100Hz. The standard edition is still a solid microphone so don’t be overly bummed if you can’t buy it. 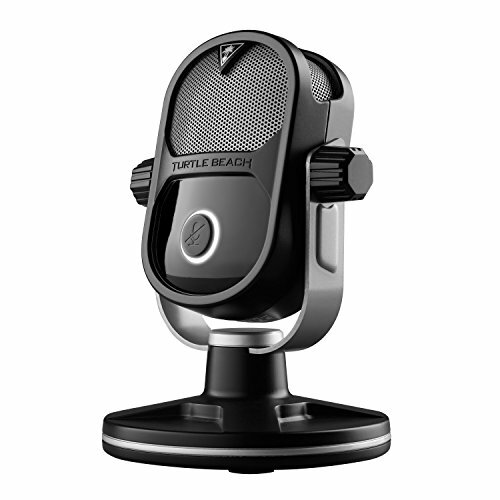 The Turtle Beach TruSpeak Stream Mic has a unique look to it to somewhat resemble the old timey microphones you would see back in the day. Even though this doesn’t really have much in the way of how it actually performs, I still like the different approach they went with. Turtle Beach has a good reputation when it comes to headsets and that extends out to their microphones as well. 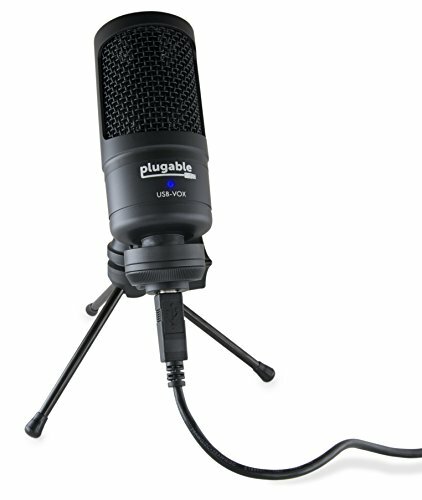 The Plugable Cardioid Condenser USB Microphone is probably one of the most overlook mics on this list which is a shame because this is a great microphone. It has a somewhat typical designs and not a lot of flash but when it comes down to it you get a microphone that makes your voice sound higher quality. Even though Plugable may not be as well known of a brand as some of these others but their products are usually found in a lot of top lists such as this one. 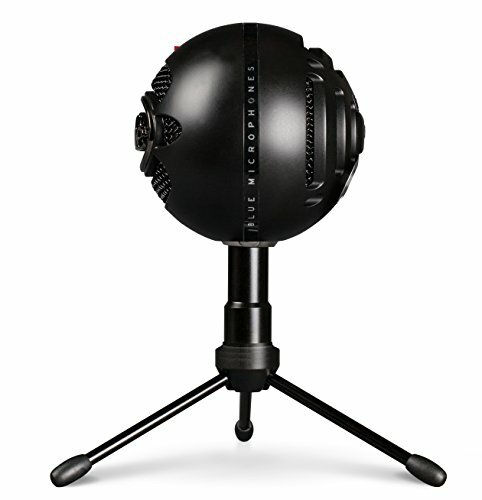 Ending our list we have the Blue Snowball iCE Condenser Microphone which is made from the same company as the Blue yeti that we mentioned above. 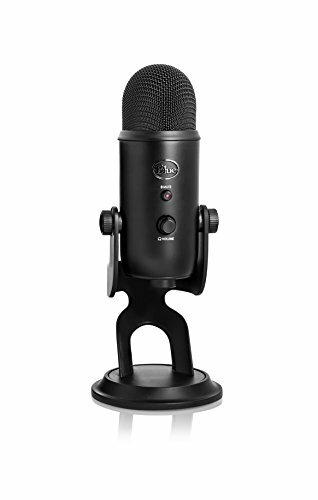 I wanted to make sure I added this mic to the list because I know a lot those just starting on their youtube career want to start out with all of the best gear possible but the funds just don’t allow it. 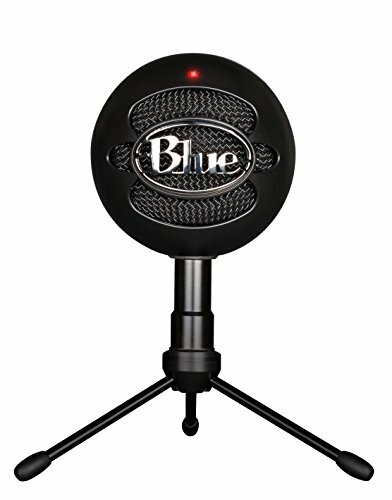 This is where I would recommend the Blue Snowball iCE Condenser Microphone because you can get a good quality mic without dropping to much money. As you can see there is a variety of different microphones listed here and some may work better for you than others. It’s really hard to tell if one is for you until you get it setup and hear yourself with it. I will recommend to read the reviews of others who have bought the microphone over on Amazon to see what they say about it. This is a good way to potentially find the answer that you may be looking for if it’s in a specific regard or a niche specific type of question.